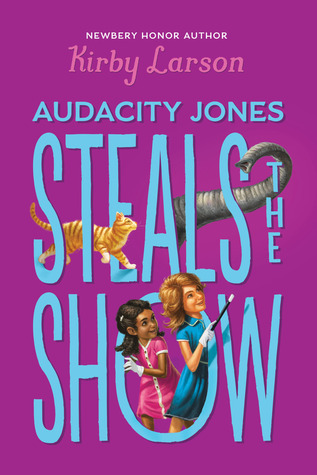 An irrepressible orphan named Audacity Jones is headed on an adventure of historic proportions! 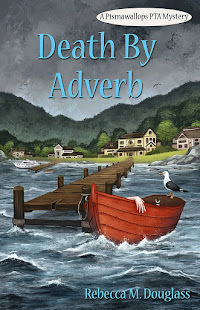 The first book in a brand-new series from beloved Newbery Honor author Kirby Larson! 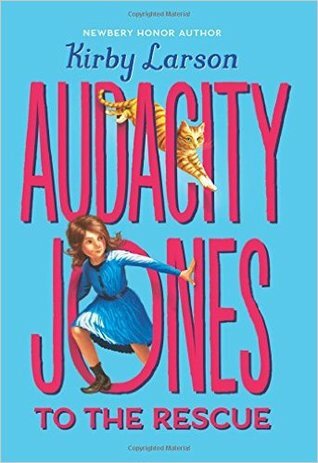 Audacity Jones is an eleven-year-old orphan who aches for adventure, a challenge to break up the monotony of her life at Miss Maisie's School for Wayward Girls. Life as a wayward girl isn't so bad; Audie has the best of friends, a clever cat companion, and plenty of books to read. Still, she longs for some excitement, like the characters in the novels she so loves encounter. So when the mysterious Commodore Crutchfield visits the school and whisks Audie off to Washington, DC, she knows she's in for the journey of a lifetime. But soon, it becomes clear that the Commodore has unsavory plans for Audie--plans that involve the president of the United States and a sinister kidnapping plot. Before she knows it, Audie winds up in the White House kitchens, where she's determined to stop the Commodore dead in his tracks. Can Audie save the day before it's too late? My Review: I snagged this one from the new book shelf at the library in part because I've read other books by Kirby Larson and liked them. But the story sounded kind of fun, too. Boy, was that a good guess! Definitely a quick, engaging read, with humor, adventure, a touch of absurdity, and just a hint of the mystical (can that cat open locked doors?). I read through it in about 2 sittings, and it would have been one if I hadn't started so late at night. Writing level and the adventure both come together nicely for kids from about 8-12. The girls at the school aren't really wayward--they were just inconvenient, which is pretty sad but isn't dwelled on. Audie certainly never spends any time feeling sorry for herself. Instead, she grasps every opportunity that comes her way, which is how she ends up in a little trouble in DC. But have no fear--she has a great knack for making the right friends, and a lot of ingenuity for getting out of scrapes! A sneaky bit of historical fiction for those kids who don't think they like historical fiction. This is really all adventure, and while the author has made sure Audie's world conforms to 1910, this story isn't about the history. Larson does include a note at the end to straighten out what is in fact historical about the story, but above all it's a frolic. This review has become a two-fer, as I promptly went back to the library for Book Two. Also by Scholastic Press, 2017, and 192 pages. This book was every bit as much fun as the first, but I didn't find it as good. Does that make sense? I loved that Audie took her best friend Bimmy with her, and Bimmy has the skills and knowledge that round out Audie's own. And the adventure is fun, though there is less sense of brooding peril than in the first book (not that either is very heavy). There is also less sense of history, though the author remains careful to put nothing in Audie's world that shouldn't be there. The cat takes a central role again, and the author lets loose a bit with the cat's abilities, again keeping the story firmly in the 'fun, slightly fantasy-feeling' category that I believe will lead kids to read it in spite of the historical setting. They won't learn as much reading this one as the first, but they'll get a feel for the period. The ending once again sets us up for another book, and I look forward to seeing what Audie, Bimmie, and the rest of the "Waywards" manage to do next! 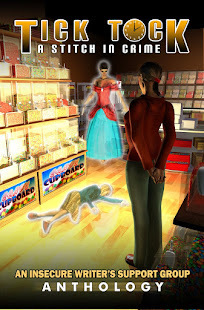 FTC Disclosure: I checked Audacity Jones to the Rescue and Audacity Jones Steals the Show out of my library, and received nothing from the writer or publisher for my honest review. The opinions expressed are my own and those of no one else. I am disclosing this in accordance with the Federal Trade Commission's 16 CFR, Part 255: "Guides Concerning the Use of Endorsements and Testimonials in Advertising."